Novosbed is one of our favorites. It is offered in 3 firmness’s and has a comfort guarantee where you can add a comfort kit to adjust the firmness to your liking. Ensuring you will like the mattress most likely! 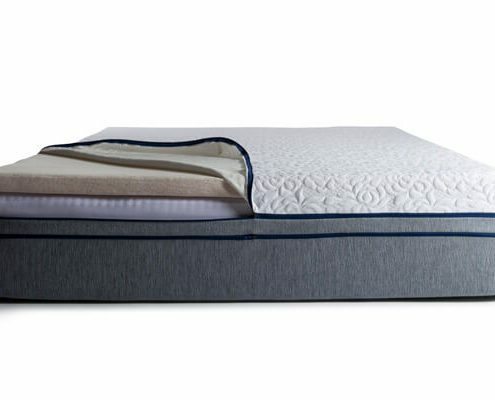 The Novosbed is a memory foam mattress that comes in a triple choice, firm, medium of soft. What’s most unique about it is their comfort guarantee. Many sleep trials let you try a mattress, but if you don’t like it you are forced to either settle for something you don’t love, or to return it. Novosbed aims to take care of that problem. They have what they call Comfort+. It comes free as part of your sleep trial so if you need to, you can fine-tune the firmness. See our video below for a demo. 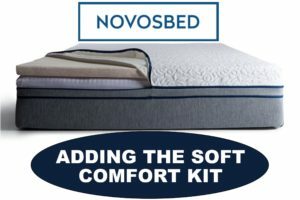 Are worried to buy online – Novosbed’s comfort kits should take some of the worry away when buying online. If you don’t like the feel you do not need to settle or or just return it. You can change the feel to make it either firmer or softer. 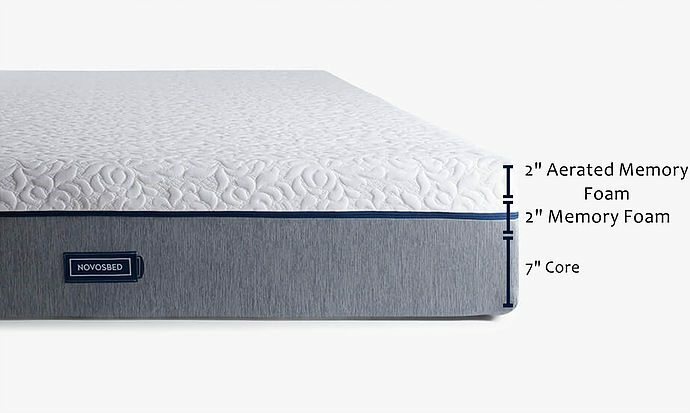 You want a good value – Novosbed has a very similar feel to the Tempupedic & Serta Icomfort lines but comes in at a fraction of the price. Like to sleep cool – Foam mattresses can sleep warm. However, the Novosbed cover and aerated memory foam helped to keep it at a neutral temperature. Sleep in multiple positions – This mattress is a good medium feel with good body conformance. Sleeping on your side, back or stomach Novosbed will conform to your body very well. If you are a stomach only sleeper you may want to consider the firm. Side only maybe consider the soft. If you sleep in different positions all the time the medium should work great. But any of those can be altered with the comfort kit as well. 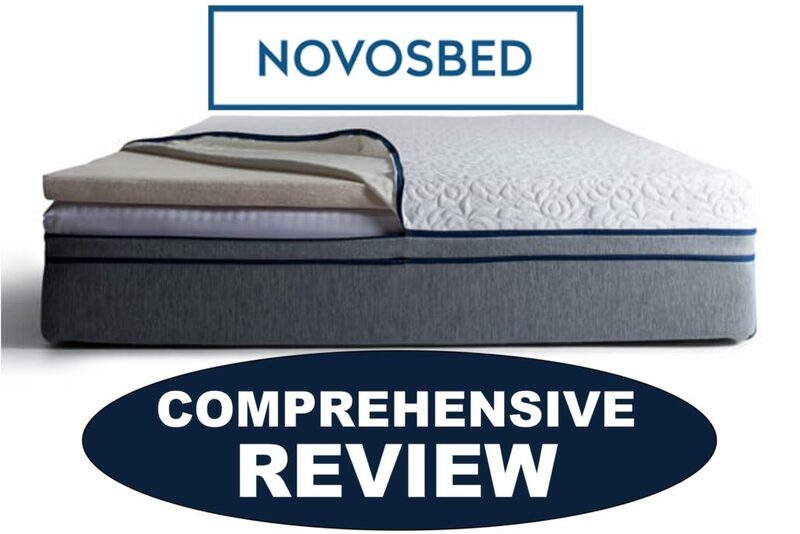 Are a heavier sleeper – When compared to a 10″ mattress the Novosbed is a good option if you are a heavier sleeper. I wouldn’t recommend an all foam mattress under 11″ for anyone over 250lbs. The foams are also a good higher density foam which means they will have good durability. Don’t like a true memory foam feel – It will depend which model you order but the softer the mattress the more it will hug your body. With good quality memory foam the response time will be a bit slower than with a poly of latex foam. 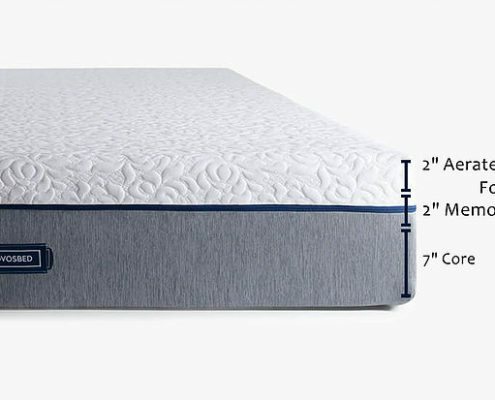 Prefer a mattress with tons of bounce – With 4″ of 5lb memory foam you won’t get as much bounce as a coil mattress or latex mattress. With that said, we still found it easy to switch sleeping positions. Novosbed offers a triple choice so construction is a bit different on each with different foam densities. Comfort kits are 2″ of foam. Density will depend if you want it firmer or softer. It’s also removable and washable for a quick and easy way to refresh your Novosbed. A robust cover that protects the foam core without affecting its properties. The same textile grade found on high end furniture. Durable, flexible and supportive. Novosbed will perform great on any solid surface. You can use it on the floor, a wood foundation or boxspring, a platform with slats as well as an adjustable base. I was impressed with the Novosbed for these reasons: I used to own a Tempurpedic before I entered the mattress world and I think Novosbed compared easily for half the price. Next, the mattresses design is impressive. Being able to add the comfort kit if you want to change the feel is a great perk for anyone buying online to relieve some of the worry about not liking your purchase. 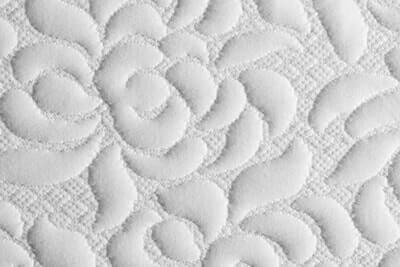 Last, it was simply a comfortable memory foam mattress that is built with quality high density foams. I prefer a memory foam mattress to latex so I enjoyed testing this mattress. When you lay down it takes a few seconds for the foam to conform to your body. That is a good indication that they use the high density memory foam they claim to. Typically better memory foam takes more time to “sink in”. I am also lighter at 125lbs. The memory foam layer supports your lower back very well. I’m always worried about motion transfer since Ross moves around a lot. Like most foam beds this has very little motion transfer. Comfort Kits: On any firmness you choose if it is too soft or too firm you can add a Comfort Kit to make it softer of firmer. Watch the video at the top of the page to see how this works. 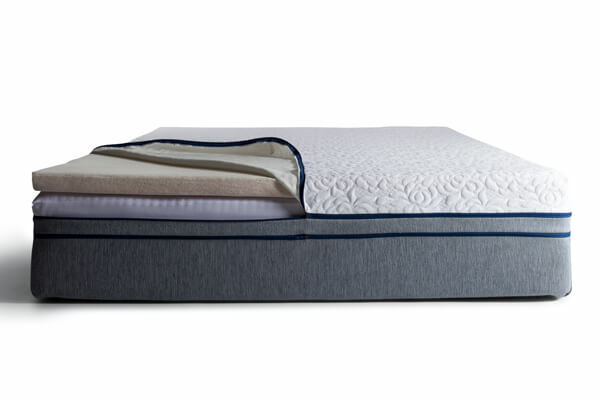 Novosbed uses an aerated top layer which helps circulate air and keep the mattress at a neutral temperature. After 2 weeks in the mattress neither of us experienced any excessive heat. I tend to sleep warm so I typically keep a close eye on this. Kayla is always cold so heat is no problem for her. If you tend to sleep extremely hot the firm mattress may be something you should consider as it won’t hug your body as much. We reviewed Novobed in a king and were unable to show it in action on our adjustable base. However, being a foam mattress it will work fantastic on an adjustable base. Discounts – Use our link above & code MI100 to receieve $100 OFF when checking out. 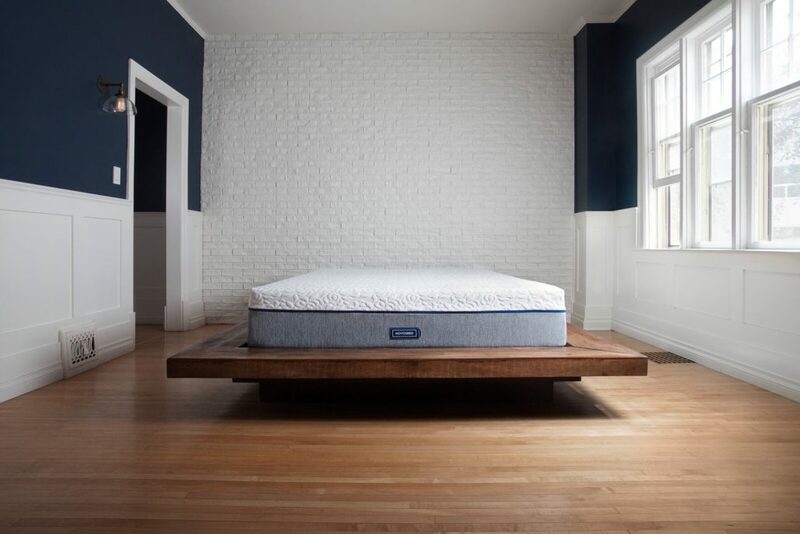 Sam the founder and his team spent more than a year designing a single high-end mattress, techniques to ship it efficiently, and invented the concept of a 120-night risk free trial. In 2009, they launched Novosbed to be the first totally risk-free mattress buying experience. Today, they deliver thousands of mattresses across North America each year. They have distribution centers in the USA and Canada, and they work with dozens of engineering, manufacturing, and logistics partners across the continent to make buying, receiving, and owning a mattress easier than ever. 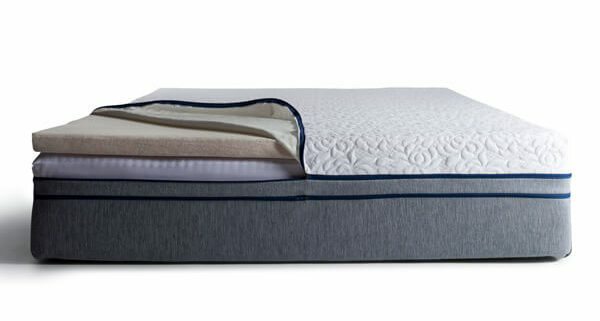 Novosbed is a great option for those of you looking for a memory foam feel. It’s also an excellent choice for those of you who are not 100% sure what to buy. 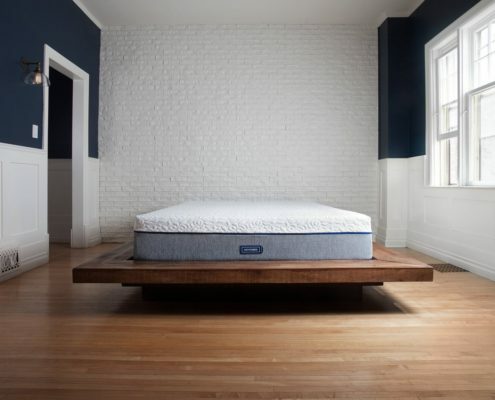 Their comfort guarantee is very unique and should help ease some of the stress considering you can change the feel of the mattress if you don’t like it initially. Their design is brilliant with the comfort kits seamlessly zipping on and ensuring you like the feel. Its a great option.